Actors Sevag Roohinian and Sevak Hakoyan pose with other actors from the film at the premiere in Fresno in October. Photo by Michael Quintero. 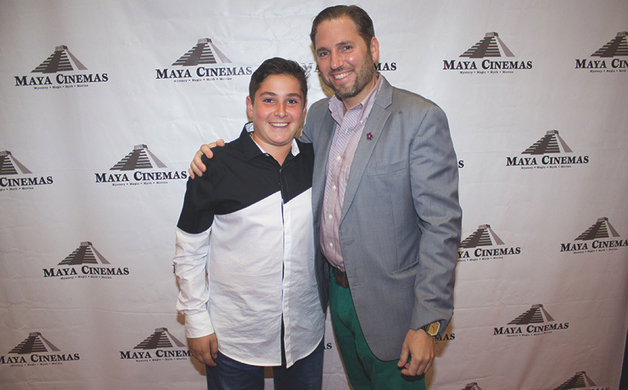 Director Christopher Chambers poses with an actor from the film, Sevak Hakoyan, at the film's premiere. Photo by Michael Quintero. Local filmmaker Christopher Chambers wrote and directed the film “Aram, Aram,” which premiered in October in Fresno. The film, about an Armenian boy whose sudden loss of both his parents prompts him to go live with his grandfather in Los Angeles, is a coming-of-age story about a boy trying to find himself amidst loss and trying to navigate two cultures in two very different lands. Local actor John Roohinian, 14, plays the lead role of Aram. Other actors featured in the film include Levon Sharafyan, Sevak Hakoyan, David Villada and Mike Ghader. This movie, an important one for the local and national Armenian community, is the first independent film in the U.S. to explore the Armenian-American community in Los Angeles. 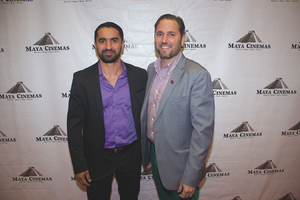 Director of Aram, Aram, Christopher Chambers, poses with lead actor Sevag Roohinian at the film's premiere. Photo by Michael Quintero.